B2B like B2C — The Distributor Board Inc.
One of the challenges we hear over and over again from our distributor clients is the impact that they are feeling from the growth of the web presence of their large competitors. The gains that major distributors are experiencing in their online business is significant. If you compete against the big guys, such as Grainger, Staples, CDW, or Amazon; then you cannot help but notice the continued improvement in their web sites and online ordering systems. The lines between retail consumer and business consumer are blurring because the business consumer is expecting experiences that are more personal. Those retail buyers are also wholesale buyers during the day. The major B2B distributors are creating compelling Internet content and experiences that more closely resemble the web sites of their B2C counterparts so that their consumer has a better experience. So, before you put your hands up and surrender to the fact that you will never be able to compete...read on. Investment in different communication avenues can be expensive. Developing personalized content takes time and effort. Outside sales forces will become less relevant on a daily basis. Customers will expect "almost" instant access to customer support services. Building a mobile application may boost sales revenue and customer satisfaction. Conducting business through the web is less expensive than traditional avenues. Allowing customers access to critical business information via their smart phones will differentiate your business today. A web catalog is exponentially cheaper to produce and edit than a print catalog. There are product configurators that will allow customers to build their own quotes and orders. Multi-language sites are easier than ever to build and automatically maintain. Differentiating between current customers and visitors can be translated into the ability to give each consumer a particular eCommerce look and feel. A strong web store can expand a distributor's geographic reach. Here are ideas on how to execute some of these important endeavors. Mobile applications are all the rage, but not because they are cool, although they are! A Recent study by Flurry (December 2012), a San Francisco-based mobile analytics company stated that consumers are spending 127 minutes per day in mobile apps, up 35% over last year. At the same time, desktop web usage declined 2.3% to 70 minutes. We don't think that this is a temporary situation; we believe that the usage trends will continue and have an impact on the B2B market as well. Marketers, not just mobile marketers, are saying that getting an app onto the real estate of a smart phone has huge value. The CEO of Chicago-based, Appolicious, Karl Stillner said, "Simply having a prominent icon on a home screen provides value". To get started on the mobile application path, check out these developers: Vokal Interactive, Blue Whale, or Mobintegro. Web-based business is much more profitable than traditional business. So why aren't you doing it? We hear all the time, "our customers do buy through the web" "Our products need detailed explanations before a purchase can be made." Are you sure? The main reason we hear these responses is because in the B2B market, consumers are not being given as many options as their B2C counterparts. It stands to reason that IF given the choice, consumers would select the easiest way to buy, not the most challenging. Take a long look at your web site and determine if it is delivering the experience that you would want as a consumer. 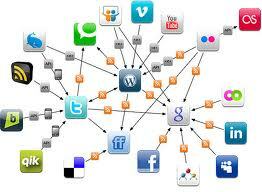 Additionally, you can easily expand your geographic reach with a well-designed and optimized web site. You should check out Grainger, AmazonSupply, or any other recognizable major competitor to get ideas about what an effective eCommerce site looks and feels like. There are some excellent technologies like Store Placer, that can take the data that is sitting in your business system and present it in a user friendly format designed for any device, whether desktop PC, tablet or smart phone. Giving your customers access to important information in a mobile format will keep them more loyal to your business. According to a study by comScore in September, 2012, 4 out of 5 consumers used their smartphones to shop. Before you say, ”Well, those are not business consumers”, ask yourself how far behind this retail consumer trend do you think commercial consumers are? Aren't these retail consumers also commercial consumers when they are at work? It is imperative that you develop a mobile web format for your prospects and customers to visit. Have you ever navigated to a web site on your smart phone only to find out that it was impossible to navigate because it presented you with the regular desktop website format? If you are like me, you react by clicking off of the web site and move on to the next resource. Even worse, research from Compuware found that 57% of consumers will NOT recommend a business with a poorly designed mobile web site. There are web development firms like LiquidPrint that can not only build a mobile site for your company, but they can help you drive traffic there. They and others like Woodmark Technologies can also build interfaces between your business system and your mobile web site to give your customers access to order status and other information that is important to them. We are seeing more distributors seeking to put entire manufacturer's catalogs on their eCommerce web site so that there are no gaps in the products that they can supply. It is important to code the non-stock products so that they are only available in standard packaging and drop ship directly to the customer. There is typically no value that you can add by having the product come into your facility and then shipped out to your customer. There are also great tools (some of which are built into existing business systems) that will help your customers select additional products that make sense to buy with whatever they have selected. Have you ever shopped on Amazon? They recommend additional purchases based on what others with similar interests have bought.. This not much different from the successful suggestive selling tactic of McDonald's, "Would you like fries with..."
The bottom line is that there ARE strategies and tactics that you can deploy to compete with the major players in your market. You will find that they are successful against your smaller competitors as well. So make a plan to take some action this year to improve your Internet presence. If you need additional guidance or just want to talk about your options, please feel free to contact David Panitch, your distribution-focused technology resource.